Being confused with marble , Onyx is a sedimentary rock, long-prized as a gemstone, known for its natural bands of color playing through the vivid translucency of the stone . Because of this translucency, your setting material may show through or may affect the color of the stone. To avoid these problems, always use a white, latex modified thin-set mortar. 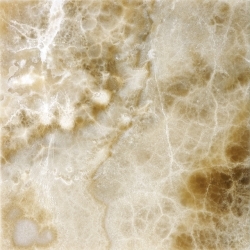 Onyx is one of the most fragile natural stones, it is frequently produced with a mesh, resin or fiberglass backing to help give it strength as a tile. No two pieces of onyx tile will ever look completely the same. Onyx may vary tremendously from piece to piece and within one piece. Within one lot, it is not uncommon to find pieces of onyx that are completely different colors from one another. To ensure a pleasing layout of the tiles and prevent the colors from clumping or grouping, do a dry layout of the tiles before installing them. 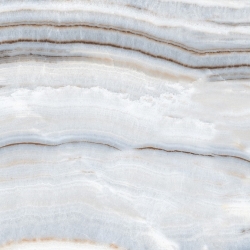 Its mesmerizing jewel-like translucence and exotic banding in diverse shades make onyx ideal for backlit panels, bar and kitchen countertops, bathroom vanities, walls and backsplashes. 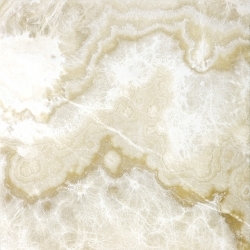 Please visit us our Vaughan Showroom just North of Toronto, off Jane Street to see our full selection of Onyx Tiles.